As scholars, there is always a hint of uncertainty as to where the fruits of our research will take us. We can so easily start from one time period, community or region and end up “across the world” two or three centuries removed. That is certainly the case for next Monday’s installment of the fascinating Spring 2015 Colloquium Series – Latin American Independence in the Age of Revolution featuring Marlene Daut Associate Professor of English and Cultural Studies at Claremont Graduate University. So how did Daut, an English professor, end up speaking on the print culture in the period following the Haitian Revolution in a series focused on the Atlantic Revolutions of the 18th and 19th centuries? Daut’s path to her academic subject of interest and to completing her upcoming book, Tropics of Haiti: Race and the Literary History of the Haitian Revolution in the Atlantic World, 1789-1865 certainly was unorthodox but has been instrumental in the development of her interests. Graduating from Loyola Marymount University with a double B.A. in French and English, Marlene thought she could combine her two interests by studying the literature of francophone Louisiana in the antebellum period as part of the University of Notre Dame’s English department. 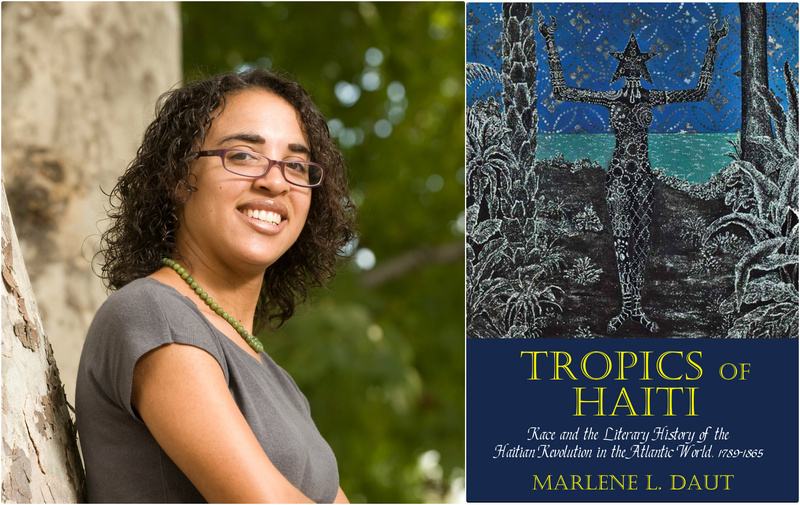 Building on the links she found between a newly independent Haiti and the francophone culture in the American south, Marlene began digging into a vast body of Haitian fiction that emerged to fictionalize the the events of the Haitian revolution. But were these works of fiction? Despite containing what were clearly fictionalized accounts of actors integral to the revolution and especially Toussaint Louverture, Daut began to find that the authors of these novels all claimed that the events and descriptions of the Revolution not as fiction but as accurate histories. In particular, elements of the stories describing the racial taxonomies present in Haiti at the time of the uprising and the enlightenment roots of the Revolution were related as truth in the plays, fiction and even the journalism of the time. As Marlene began to follow these these stories from their circulation in the Antilles and across the Atlantic to Europe, she found clear indications that many of these “histories” were being wholesale reprinted and retold by authors around the world. Daut groups these repeated tropes into to narrative categories – the “mulatto” vengeance narrative and the Enlightenment narrative. Each of these narratives, while seemingly opposed, worked in conjunction with each other to define the racial discourse of the Revolution and beyond. In many ways, Daut’s work points to the beginnings of a sense of biological racism – defined by the proponents use of “scientific” veracity – that defined the post-independece era of race relations. The investigations into Haitian print culture and its lasting influence on racial discourse can serve as a critical key to revealing some of the silences around the Haitian Revolution that are beginning to be exposed with a new surge in Haiti scholarship. It is here that the potential impact of Dauts work can extend far beyond discussions of history and literature of the 19th century and into the present day. In light of some of the many comments from public figures that emerged following the 2010 Hatian earthquake Daut can see the racialized tropes of the 1800’s begin to rear their ugly head once again. In a time where it is so easy to click ‘share’ and ‘retweet’, Daut’s work asks us to examine what language we copy and replicate and their implications. Join CLACS Monday, April 13th at 6 pm in the King Juan Carlos Center Auditorium for Marlene Daut’s talk on Race and the Transatlantic Print Culture of the Haitian Revolution 1789-1865. 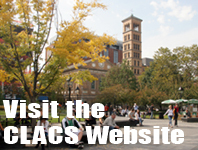 Follow CLACS on Facebook and Twitter to stay up to date on all CLACS events and goings on in Latin America. 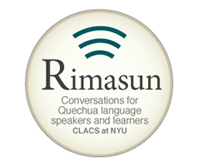 This entry was posted in CLACS News, Events and Happenings, Recent Research and tagged CLACS, events, Haiti. Bookmark the permalink.